The African American Music Trail, a living history project spearheaded by the NC Arts Council, came through eastern North Carolina with a daylong event on March 24, 2014, that happened at the University of Mount Olive. A lecture was led by a Michelle Lanier, a representative of the NC Department of Cultural Resources to describe the way the Music Trail project began and continues to evolve. 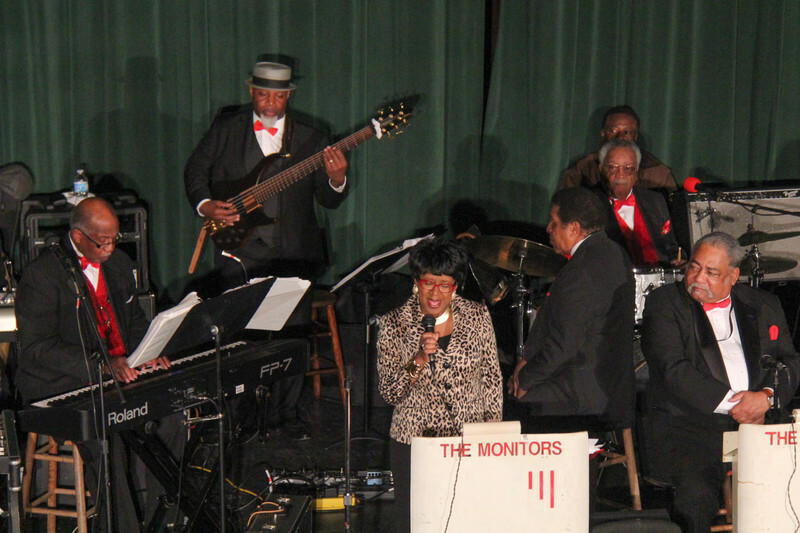 African American music leaders, Bill Myers and the Monitors performed Tuesday night. Photos by UMO graphic designers Casey Heath and Mandy Hensley.